Lipstick Reviews - Make Up Mew! Make Up Mew! 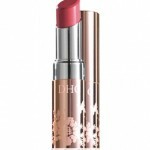 | Lipstick Reviews - Make Up Mew! If you have ever wondered what the best lipsticks for you were, you need to take several factors into account. Even the best rated lipstick in the world is going look awful for you if you don’t know what you are doing! First, start with the tone of your skin. If you have warm skin tones, you will find that warm colors, especially ones that have a touch of gold or orange in them, do very well for you. If you have cool skin tones, choose something with more blue, like a deep violet or bluish plum. Remember that what you are wearing will change the color of your lipstick. The best way to make sure that everything looks good together is to try it all on together. This is something that can make a huge difference, and it will prevent you from looking disheveled or unfinished later on in the day. 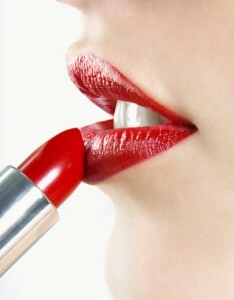 When purchasing lipstick, remember that the feel of the lipstick is important as well. If it feels lumpy going on, or if it seems too soft, chances are good that you are dealing with an inferior product. Lipstick should be easy to apply, only slightly creamy, and easy to work with. If you are having problems, you may need a different lipstick. Learn everything you need to know about a certain brand before you ever touch a tube! The best way to get the results you need from your lipstick is to check out lipstick reviews below.